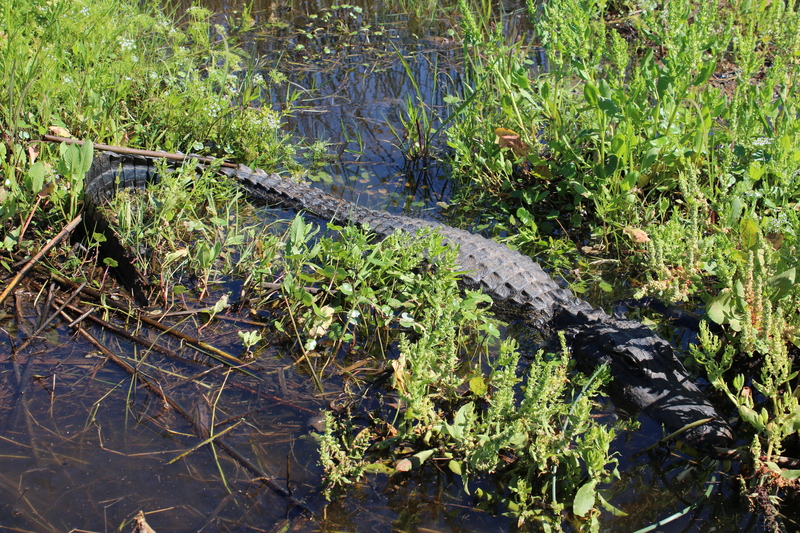 During a recent visit to Southeast Texas, I took a day trip to visit the Sabine National Wildlife Refuge in Louisiana. As a child I visited this spot often and always saw several alligators during each trip. I was so excited to share this experience with my nephew, but on this day we only spotted one alligator! All in all it was a beautiful, sunny day on the Gulf Coast with lots of wildlife viewing including rabbits and several species of birds.